Amarula, an Impact Databank top 100 international premium spirits brand enjoying double-digit off-shore sales volume growth, is going global with its first new product in 25 years. 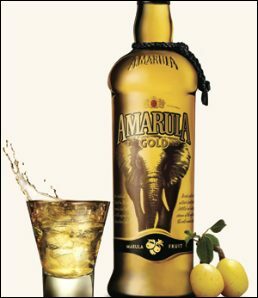 Called Amarula Gold, the clear golden-coloured 30%ABV spirit has been launched to coincide with the brand's 25th birthday this year. It is promising consumers a bold, original and totally unexpected taste experience, say its producers. The new offering is making its first public appearance in March, in both South Africa, and the global travel retail channel, where Amarula Cream is currently the 36th most purchased spirit, according to market intelligence providers International Wine & Spirits Research (IWSR). The launch in other priority markets is scheduled for September this year. Like its cream counterpart, Amarula Gold is made from the hand-harvested marula fruit indigenous to sub-Saharan Africa, double-distilled and aged in oak for 24 months, but that's where the resemblance ends. The head of Distell's spirits business unit, Caroline Snyman, describes Amarula Gold as "aromatic and vibrantly fruity with intriguingly spicy notes and a very smooth texture". It is targeting men and women in the major markets where Amarula already enjoys high visibility and strong distribution networks, she says. Snyman says the Amarula brand, widely known as the Spirit of Africa, has evolved a loyal following in South Africa and Brazil, where it is the undisputed leader in the cream market, as well as in other strong growth markets, such as Germany, parts of Africa, the Americas and Asia Pacific. Domestically, the launch is being backed by a multimillion rand, multi-channel campaign. She says communication channels for Amarula Gold are being specifically tailored for each market. "With a payoff line of 'go where the spirit takes you', Amarula Gold is positioned as daring, suave, premium and sophisticated. It takes its cue from the thriving, cosmopolitan dynamism that is increasingly the face of Africa, the new continent of opportunity and currently the source of so much exciting innovation and creativity." Amarula Gold is dressed in a clear bottle to show off its polished golden colour, and sports a black version of the brand's signature neck tassel. Snyman says it is being promoted as a spirit to be enjoyed over ice or combined with soda, sparkling apple juice or ginger ale. Domestically, it is being distributed to leading liquor stockists and is expected to retail for between R139 and R149 per 750ml bottle.